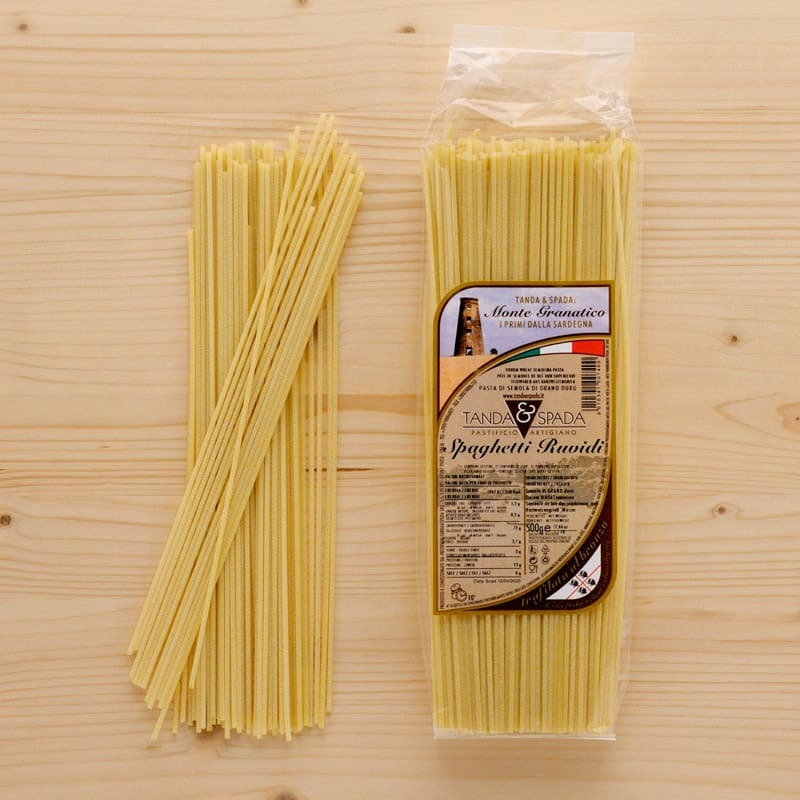 Our spaghetti ruvidi is made with the finest durum wheat semolina. It goes well with any of our ready to use sauces. We recommend using the spaghetti with one of our delicious fish sauces, such as: organic tuna sauce or organic tuna and condiments sauce, or swordfish, tuna, blue marlin sauce, or perhaps try our organic smoked fish sauce. These sauces are like eating fresh fish. Ingredients: extra virgin olive oil, garlic, smoked pancetta, eggs and pecorino badeconca.